So in anticipation of running 100 plus miles in June I finally got myself organised for a decent running shoe fitting and some custom orthoics. I went to Profeet where I could get advice on new running shoes as well as get some custom-made orthotics. Fortunately I needn’t have worried. I’m running fine in my Kinvaras (with a bit of added support from insoles), and as I prefer lighter minimalist style shoes there is no reason not to continue to run in them even up to marathon distance. My hour session included giving details about my running and injury history (with a cup of tea), being filmed running in my current shoes and then barefoot on the treadmill. Then a couple of barefoot runs over a pressure pad. Next was an examination of my feet and ankles to check flexibility and range of motion before impressions of my feet were made to make custom orthotics taking into account where I needed support. The feedback was; I have normal arches, very mobile toes (my left big toe has joined my glutes in being characterised as lazy and is not engaging to give me a good toe off! Only those bits?). I pronate slightly when barefoot but was fine in my current shoes with insoles, my Achilles niggles could stem from tight calves because as a midfoot striker my calf muscles take a lot of strain. I need to continue to work on hip and glute strength for hip stability. I was given some suggested exercises to strengthen my calves, hips and glutes and encouraged to make sure good stretching and foam rolling were part of my routine. Instead of buying a new pair of Kinvaras I decided to try other minimalist running shoes while I got the chance and was recommended the Brooks Green Silence. They felt really light and were good to run in on the treadmill. So I settled on these as a change. 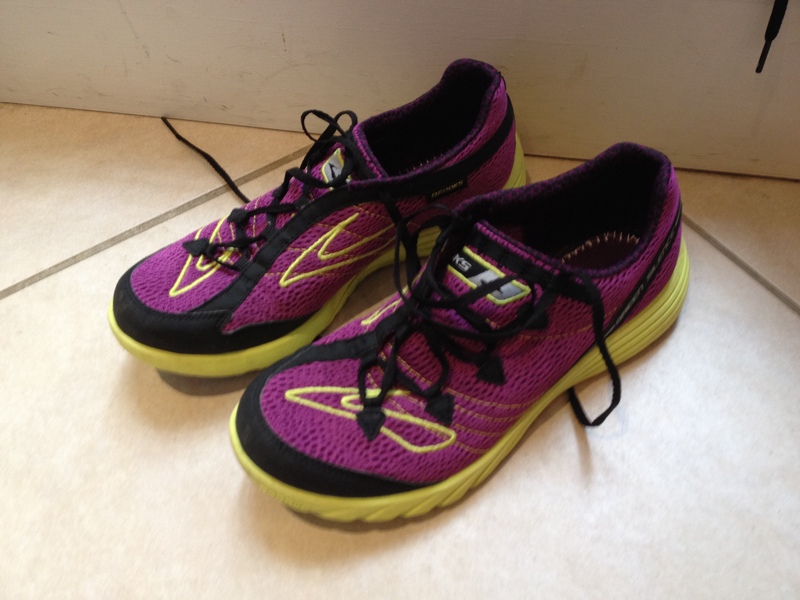 They are a slightly wider fit which suits me and are cheaper than the Kinvaras, a big benefit knowing that one downside of minimalist shoes is they wear out quicker! I’ve worn them in round the house, to BMF for a few sprints and for 2 longer runs this weekend. With orthotics they fit very well and are very comfortable. My only issue was getting the asymmetric lacing right at first but once sorted after 3 stops yesterday all was well. So far so good. All set for Juneathon! Categories: Product review, running | Tags: Juneathon, minimalist running shoes, Profeet Fulham, running injuries, running shoes | Permalink. Oooh! Nice! Will you be wearing them at BUPA? 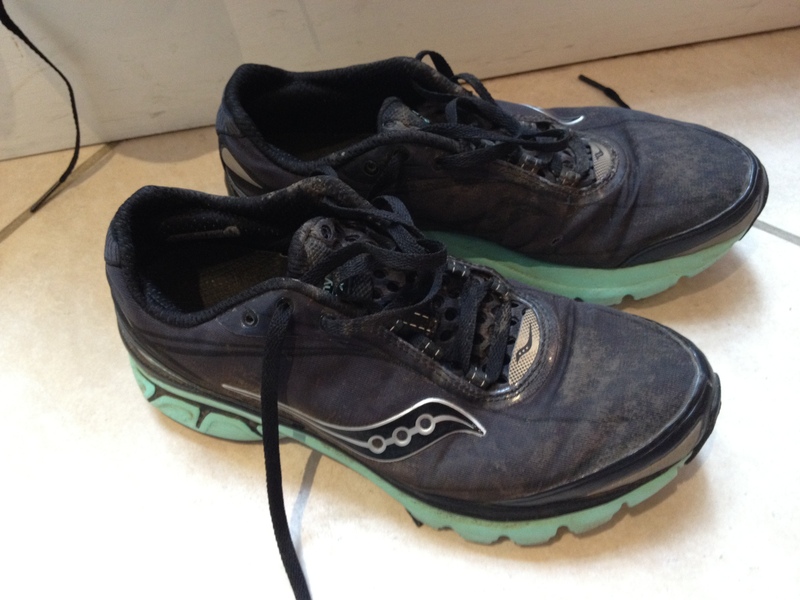 Get them well worn in before #juneathon to avoid the ouch! factor. Nice looking shoes! That is an awful lot of detail whic sounds fab for an hours session – was it reasonably priced? Cool shoes! Looking forward to monitor your Juneathon mileage! Those shoes look class. I need to get myself to a specialist running shop to get my gait analysed but I can never find the time. I think I run heavily on one side. Looking forward to Juneathon too!